You may need a neck pain treatment if you are dealing with constant tension or headaches. 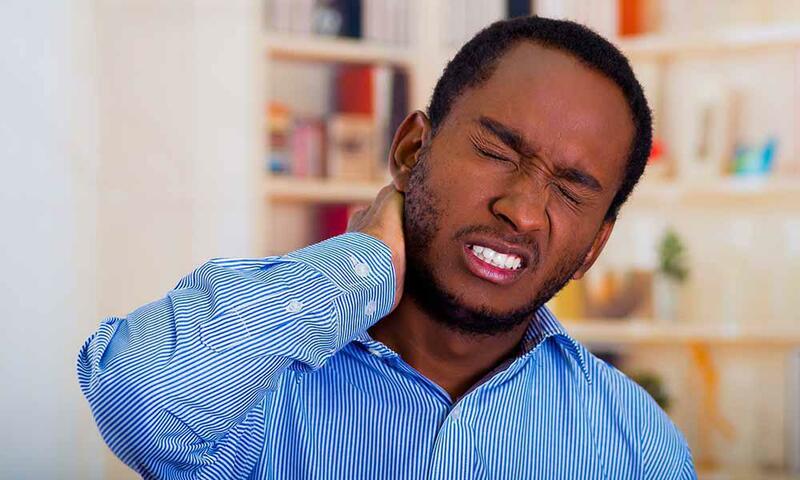 Many office workers suffer from neck pain, along with pain in their back and shoulders. Pain in these areas is actually a common workplace injury that often goes undiagnosed due to being slow-acting. Pain in the neck, back or shoulders, does not happen when there is a sudden accident like people may imagine with most workplace injuries. Instead, you are talking about an injury that gradually worsens over time due to the repeated exposure of the same conditions or movements. For example, an office worker that is constantly working at a computer may not be sitting properly or may not have a desk that is ergonomic. From just performing basic job duties, people can place tension on the neck, shoulders, and back. While this may never be something that people consider a normal accident, it is a repeat motion that leads to a workplace injury. When you visit our office with neck pain, we will ask if this is something that came on suddenly or something that has been happening for a while. If you have been suffering from increased pain when you are at work, let us know. Also, let us know if you plan on filing a worker’s compensation claim. In many cases, we can actually bill your employer for your treatment. In other cases, their worker’s compensation insurance may cover the cost so that you do not have to pay anything out-of-pocket. As a chiropractor, we can examine you to determine what the cause of your neck pain. Neck pain is often due to the vertebrae being out of alignment. Sleeping incorrectly, lifting something heavy or even holding your head in a strange position can result in your spine getting out of alignment, leading to increased pain and discomfort. If we identify this problem, we will correct it through spinal manipulation therapy. This is a gentle touch therapy where we use our hands to guide your vertebrae into the correct position. Afterward, you will begin to feel better, though it often takes several appointments for you to have long-term relief. We will also discuss various things you can do to decrease the likelihood of you suffering from neck pain. This can include ways you can sit or work without putting a strain on your neck and shoulders. We may also suggest stretches or strength exercises you can do in order to promote the improved health of your back, neck and shoulders. You could also benefit from massage to loosen up your neck and shoulder muscles. Typically, you will need to visit our clinic once or twice a week at the beginning so that we can make a big impact on the health of your spine. The appointments will gradually be reduced until you are at a maintenance level. You do not have to live with daily pain. Visit our chiropractic clinic to experience neck pain relief and begin enjoying life to the fullest again.